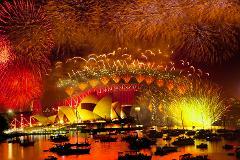 Looking for a front row seat to the best New Years Fireworks display on Earth? This year Ocean Extreme is offering a fireworks express cruise. Departing Manly Wharf at 11:15pm at returning at approximately 1:00am. 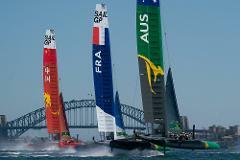 Get a front row seat to the start of the most exciting and prestigious yacht race in the world. Follow the yachts at high speed from in the harbour, out of the heads and down the coast before blasting back to Sydney at full speed. This cruise departing Manly Wharf at 8:25pm and returning before 10pm is perfect for families looking to have party wrapped up early this New Years Eve. *kids must be at least 8 years old.